Edouard Labruyère’s transformation of Domaine Jacques Prieur by Peter Dean (@TweetaDean) for The Buyer. 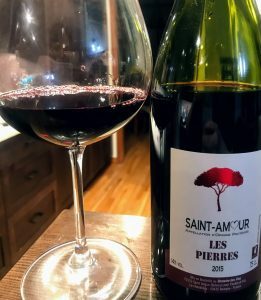 Domaine Jacques Prieur is one my favorite Burgundian estates and I was enjoying its sleepy-under-the-radar-status. With as crazy as prices in Burgundy can get, I was selfishly hoping that other wine insiders wouldn’t notice how sneaky good this estate has gotten over the last couple vintages under the winemaking direction of Nadine Gublin. But it looks like the cat is out of the bag. 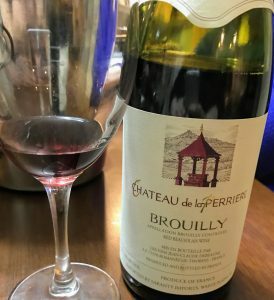 Still I learn a lot of cool stuff in this article about DJP and its owner Edouard Labruyère–namely the expansion into Santenay (hopefully with affordable bottlings), the family owning Château Rouget in Pomerol, planting Syrah and Pinot noir in Beaujolais and the launch of Labruyère’s Champagne. Sourcing from Grand Cru vineyards that use to supply Dom Perignon, this Extra Brut style Champagne is partially fermented in old white DJP barrels and spends 5 years aging on the lees. Looks like something to keep an eye out for. Since Ch. Latour left the en primeur system in 2012, its been hard keeping track of their releases. While we still don’t know when the 2012 Grand Vin is going to be released, the estate announced that on March 21st, their second wine Les Forts de Latour will be released along with (re-release?) the 2006 Grand Vin. While considered a “second wine”, in many ways Les Forts is really its own entity being sourced from three dedicated plots with only some years having declassified Grand Vin parcels included. That said, these plots are still tended to by the Latour viticulture and winemaking team and is often an outstanding wine. Back in 2015, I did a side by side tasting of the 2005 Latour and 2005 Les Forts and you could certainly see how the pedigree shined through with the Les Forts. While the 05 Latour was way too young at that point, the Les Forts was raring to go at 10 years with many tasters thinking it was, at that moment, the better wine. With the 2005 Latour averaging $1119 on Wine Searcher and the Les Forts averaging $263, it was certainly the best value of the night. It remains to be seen what the pricing of the 2012 will be. Ilona at Palate Exposure is quickly becoming one of my favorite content creators in the wine world. 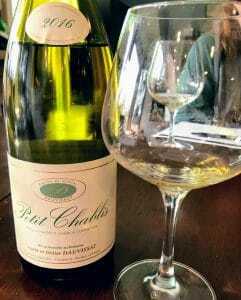 Her website is well worth a peak with fabulous original posts about winemakers and wineries with a Napa Valley focus. Of course I geeked out like crazy with this article! While Grenache and Tempranillo aren’t very surprising and even Pinot Meunier makes sense with sparkling wine producers like Domaine Chandon in Napa, who knew about Lagier-Meredith’s Mondeuse? Heitz Cellars’ Grignolino or even Spiriterra Vineyards’ Scuppernong? Napa Valley Scuppernong. For realz, y’all. Ilona just gave me my new unicorn-wine list. Upcoming Posts for Taste Washington Wine Month! First quick apologies to subscribers as last night we accidentally, kinda, maybe, sorta hit “submit” on an unfinished version of my book review of Paul Gregutt’s Washington Wines and Wineries: The Essential Guide. Our bad! All I can say is that the post will be finished properly and published shortly over the next few days. 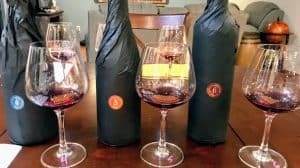 Other posts in the pipeline for Taste Washington Wine Month include a Geek Out over Washington Cabernet Franc courtesy of Savage Grace Wines, an exploration of the legend of William (W.B.) 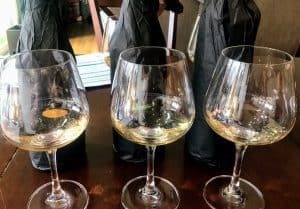 Bridgman in Washington wine history and his lasting legacy of Harrison Hill and Upland Vineyards as well as a flashback post to last year’s Taste Washington Grand Tasting! Plus more 60 Second Wine Reviews featuring exclusively Washington wine for the month of March. In April, we’ll get back to our regular peppering of Bordeaux, Burgundy, Napa and other fun wine reviews. 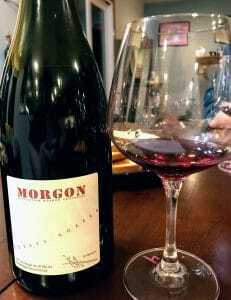 Tagged Beaujolais, Cabernet Franc, Ch. Rouget, Dom Perignon, Domaine Chandon, Domaine Jacques Prieur, Edouard Labruyère, en primeur, Grand Cru, Grenache, Grignolino, Harrison Hill, Heitz, Ilona Thompson, Lagier-Meredith, Latour, Les Forts de Latour, Mondeuse, Nadine Gublin, Palate Exposure, Paul Gregutt, Peter Dean, Pinot Meunier, Pinot noir, Pomerol, Santenay, Savage Grace, Scuppernong, Spiriterra Vineyards, Syrah, Taste Washington, Taste Washington Wine Month, Tempranillo, The Buyer, Upland Vineyard, W.B. Bridgman, Washington wine, Washington wine history, Wine Searcher, Women in wine. Seven Fifty Daily reposted an old Jon Bonné article from October about Do Wine Drinkers Really Trade Up? This is a question that regularly percolates in the wine industry, occasionally bubbling over. Bonné gives lip service to (but doesn’t link) the New York Times op-ed by Bianca Bosker Ignore the Snobs, Drink the Cheap, Delicious Wine that created a firestorm last year. The op-ed was an excerpt from her book, Cork Dork, which, likewise produced some interesting reactions. The gist of Bosker’s take is that wine industry folks shouldn’t turn their noses up at so-called “cheap wine” because there is actually quality in these bottles, even if there isn’t terroir. To add seasoning to her opinion, she includes a quote from no less of an esteem source than that of Master of Wine Jancis Robinson. “It is one of the ironies of the wine market today, that just as the price differential between cheapest and most expensive bottles is greater than ever before, the difference in quality between these two extremes is probably narrower than it has ever been.” — Jancis Robinson as quoted in the NYT March 17th, 2017. 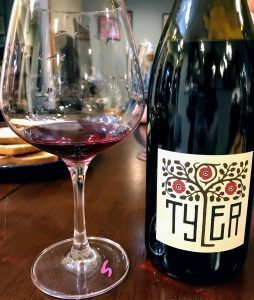 This narrowing in the quality gap has come via technological advances and winemaker “tricks”, several of which Bosker list in her op-ed, like the use of the “cure-all” Mega-Purple, toasted oak chips, liquid oak tannins and fining agents like Ova-Pure and gelatin. Needless to say, many folks disagreed with Bosker, few more passionately than natural wine evangelist Alice Feiring in her post to Embrace the “Snobs.” Don’t Drink Cheap(ened) Wine. But my favorite rebuttal had to be from Alder Yarrow of Vinography. I think Ronald would want to have a few words with Alder. 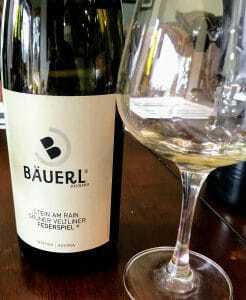 Some certainly defended Bosker’s view with most of those defenses centered around the idea that these cheap democratized wines introduce people to a less intimidating world of wine. A world that they may eventually trade up from for “better wine”–whatever that may be. 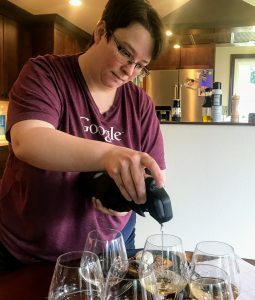 “She seems to share the view that mass-marketed, everyday wines eventually will lead a person introduced to wine through them to step up to more challenging wines. This perception isn’t without precedent. Many people in the wine industry are unconvinced that this phenomenon exist. 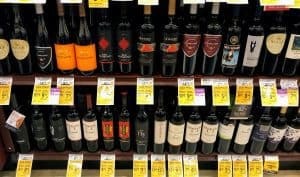 While the Bonné article above tries to paint some nuances around the concept, you will find many writers who doubt that people ever really trade up and instead think that the reason why we are seeing an increase in “premiumization” is simply because older 4 liter box wine drinkers are dying off while newer Millennial drinkers are starting right off the bat with a little more pricier $7-10 wines. In the article linked above, The Wine Curmudgeon expresses skepticism that a Bogle or Rodney Strong drinker would ever “trade up” to a Silver Oak. Bonné also notes that there is a significant segment of wine drinkers that are risk and change adverse, pointing to Constellation Brands’ Project Genome study that found around 40% of consumers prefer to stick with drinking the same ole thing they drink everyday. British wine writer Guy Woodward, in another Seven Fifty Daily article, quoted a buying manager at the UK grocery chain Morrisons flat out saying that his customers aren’t interested in trading up, being quite content with their £5 (around $7) bottles. Maybe the industry should count its blessings that Millennials are even buying $7-10 wines and just cross our fingers that the next batch of wine drinkers in Generation Z start out their wine journey in the $10-15 range? Or we can stop talking about “Trading Up” and start talking about “Trading Out”. 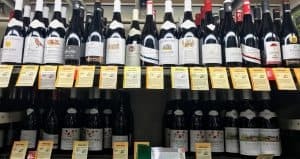 A major hang up in the “Should we love ‘cheap wine’ debate?” is the focus on the word “cheap”– which means different things to different people. For some, it means the type of mass manipulated wines that Bosker describes from her visit to Treasury Wine Estates. For others, cheap just means…cheap. This is especially true when you are talking about a Millennial generation of wine drinkers saddled with student loans and a lower wage economy. It is a victory for the wine industry when a Millennial reaches for that $7-10 wine instead of a six-pack of craft beer. I mean, seriously, we could get about 7 meals of avocado toast for the price of one bottle of Silver Oak. But for “natural wine advocates” like Alice Feiring who want wine drinkers to take their wine seriously and folks, like me, who despair at supermarkets monopolized by brands made by the same handful of mega-corps like Constellation, Treasury and Gallo, perhaps the potential of the Millennial market offers the perfect solution to our woes. 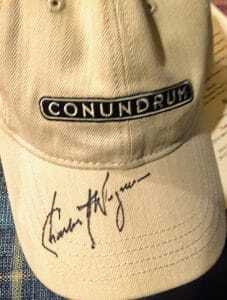 Going back to Alder Yarrow’s Vinography post, he references a Bosker rebuttal from Troon Vineyard’s general manager Craig Camp, that aptly notes the abundance of inexpensive but non-industrialize wine on the market. These include under $20 wines made in Beaujolais, the Cote du Rhone, Languedoc, Spain, Portugal, etc. Heck, you can even find tasty wines from these regions under $10. Now you might not find these in a grocery store, but they exist and often just down the road from the grocery at your local wine shop. But how do we get drinkers to seek out these wines? I think it is best to start small and encourage wine drinkers to get in the habit of “trading out” which simply means trying something new. Even if you are still shopping at your convenient grocery store looking at the litany of industrialize wines–try a new one. Sure, grab a bottle of your regular “go-to” but also grab something else. Just one bottle of something you never had before. Try it. If you hate it, you still have your ole trusty. Why? Because drinking the same wine over and over again is like eating the same food. To echo back to Yarrow’s quote, you wouldn’t eat at Mcdonald’s everyday, why would you want to drink the same thing everyday? 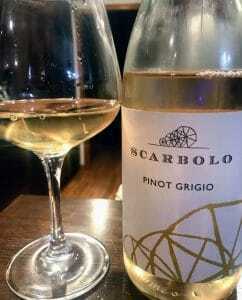 So let’s say you try something different but in the same grape or from the same wine region. That’s a good start but it is still like limiting yourself to just one type of cuisine (Italian, Chinese, Indian, pizza, etc). Now granted, you can have a fair amount of pleasure exploring all the delicious possibilities of pizzas or Indian cuisine, just like you could have exploring all the delicious possibilities of the Riesling grape or the wines of Washington State. But you have even more potential for more pleasure when you trade out your standby cuisine for a chance to try something different–like Moroccan food or stuffed portobello mushrooms. So many Cru Beaujolais….which incidentally goes great with both pizza and Indian food. Encouraging the wanderlust and sense of adventure that Millennials have demonstrated, is the best path for wine industry folks promoting alternatives to industrialized wines. 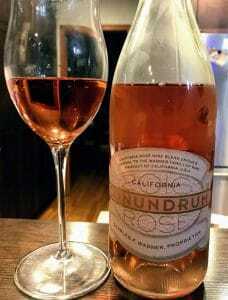 Yeah, mass produced and mass manipulated wines are probably going to be the starting point for a lot of wine drinkers. 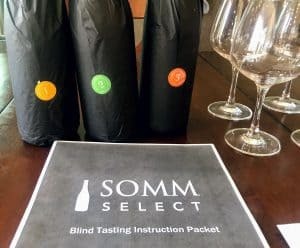 Bosker is quite right in that their accessibility and approachabilty has helped democratize wine. But stop stressing if people reach for bottles of 19 Crimes or Apothic. Instead, keep encouraging them to “trade out” at least one of those bottles for something, anything different. 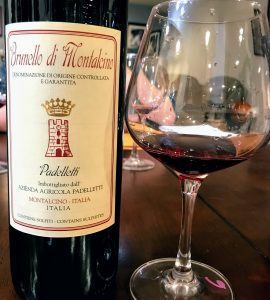 Perhaps if they keep trading out and exploring new wines, they may eventually find themselves on the wine industry’s holy path of “trading up” into more esteemed quality wine. But even if they don’t end up trading up to a higher price tier of wine, at least their journey is going to be a heck of a lot more interesting than just eating at McDonalds. Tagged 19 Crimes, Alder Yarrow, Alice Feiring, Apothic, Avocado Toast, Beaujolais, Bianca Bosker, Bogle, Cheap Wine, Constellation Brands, Cork Dork, Cote du Rhone, Craig Camp, Gallo, Generation Z, Grocery Stores, Guy Woodward, Industrial Wine, Jancis Robinson, Jon Bonné, Languedoc wine, liquor store, Master of Wine, McDonald’s, Mega Purple, Mike Dunne, Morrisons, Natural Wine, New York Times, Portuguese wine, Project Genome, Rodney Strong, Sacramento Bee, Seven Fifty Daily, Silver Oak, Spanish wine, Trading Out, Trading Up, Treasury Wine Estates, Troon Vineyard, Vinography, Wine Curmudgeon, wine snobs.